Mihos is named after an Egyptian lion-headed god of war, whose name means "he who is true beside her." Though we think that in order to widen the pool of potential adopters for Mihos, he should also be know as "he who is true beside her, him, or them." 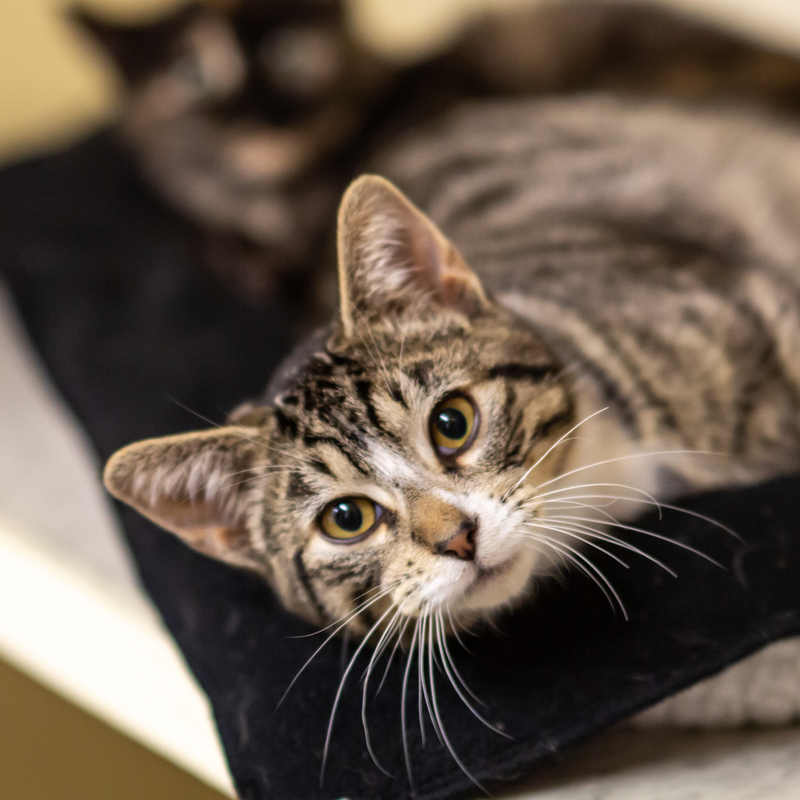 If you are in the market for a feline who will be true beside you, as well as likely true under your feet, true lurking over you from atop the fridge, and true while curled up in your lap, you might want to check out Mihos. Probably sooner rather than later!